I started studying the Drums when I was a teenager. I wanted to learn in order to improve my rhythm and timing on the guitar but I fell in love with the drums and continued private lessons and studied on my own so that I could create and record my own material. I started teaching in 2009 and have worked with over 100 students. Some of my favorite drummers are Chad Smith from RHCP's, Dave Grohl from Nirvana and Foo Fighters, Jimmy Chamberlin from Smashing Pumpkins, Roger Taylor from Queen, and many many more. There is not just one book that will give you everything you need so I teach from a number of books by different companies like Alfred, KJOS, Hal Leonard, Railroad media, song books, to individual pieces from music notes. I also create, print, and email custom lessons created on a program in my Mac. I use Pearl drums, Zildjian Cymbals, Roland electronic set, Sabian pad, LP cow bell and bongos, Vick Firth sticks, Tama Iron cobra double bass pedal, Evens and Remo heads. I've been playing drums/percussion for over 16 years and recently received a BA in Music with a focus in percussion and a secondary in piano. I toured for about a year and currently work in a local studio as a session musician. I love teaching kids and adults of all ages. My rates are more than reasonably priced and I make sure you always get your money's worth. Go ahead and book a lesson with me and i'll make sure you stick with it (pun intended). Several years ago I found that my passion was sharing my musical talents with people. While I am young, I love music and and I love teaching. I've always felt that teaching is just as important as performing. My style of teaching is a little different, my goal is to give people musical tools so one day they won't need me. I remember as a young boy my very first teacher made sure that I could be an independent musician that loves being creative and exploring different ideas and sounds. I want to pay that forward now. If you're curious about how beneficial becoming a musician is, I can surely say it builds character, passion, motivation, drive, deep-thinking skills, and determination. It has been proven that playing a musical instrument can help children in school and adults within their workplaces. gree from Brevard College which is a highly esteemed liberal arts university. I am also a hired session musician for Noalynn Studio in Bessemer City NC. I have 15 years of experience, 14 of those years I have been taught by some very renown musicians such as: Dr. Laura Franklin (Studied directly under "Vic Firth"), Henry Davis (studied under Charlotte symphony principal chair "Rick Dior", as well as several others for extended periods of time. I was a guest artist in the Spartanburg Symphony and I am also endorsed by 1710 Percussion, Dream Cymbals, and Rich Sticks. Finally, I have 6 years of teaching experience where I have worked with people with special needs as well as physically disabled people. I am proficient in piano and have taken piano lessons for 4 years. I am able to teach the basics of piano and I'm very proficient in music theory for any instrument needed. Gavin is a highly qualified, knowledgeable and professional musician. He exhibits the passion and patience that anyone would desire in a teacher. He strives to help you not only learn to play, but to understand what it means to play. I've had the pleasure of working with Gavin on multiple projects and his attention to detail is impeccable. I ask that you strongly consider him to provide lessons to you or your loved one. First lesson went so well, I can tell that Gavin is a talented musician and good at instruction. He was very encouraging to my 6 year old and I am excited to see how much more my son will learn! We will design our lessons together as student and teacher, and I am able to adapt my teaching style to each students' specific needs and abilities. Learn the fundamentals while playing along with your favorite songs! Advance your skills in a comfortable setting, with lots of encouragement and support. I have experience with all ages and abilities, including students with physical and intellectual disabilities. 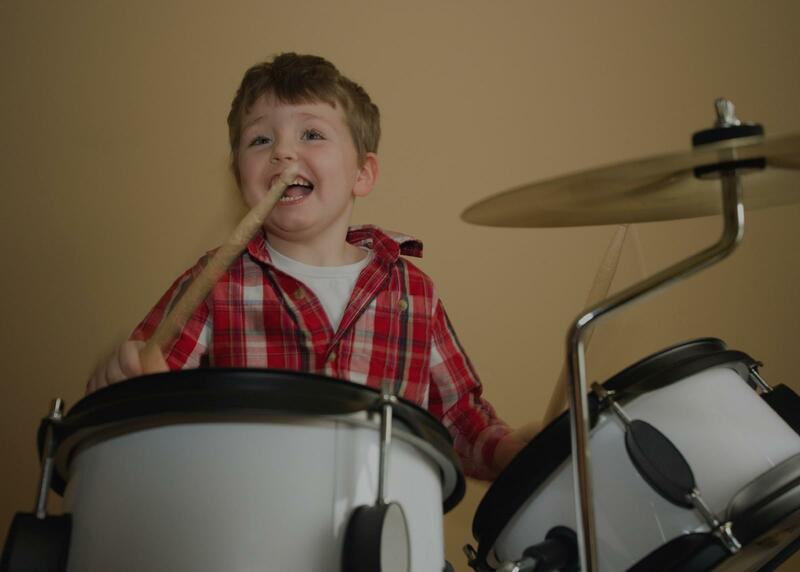 I believe that drumming is a universal practice for joy, health, communication and discipline available for anybody...any age...any brain...any body.